How would you describe your health before you began receiving your adjustments? Constant neck pain, with frequent headaches. My mom was having nerve issues in her jaw [Trigeminal Neuralgia] and no one could do anything for her, but this worked. Yes. This isn’t really what I think of as traditional chiropractic care. Others I’ve been to never really offered any other solutions–just cracking my neck. Feel good, with less pain at work. What aspect of this service have you enjoyed the most? The fact that there is no cracking and the visible changes. 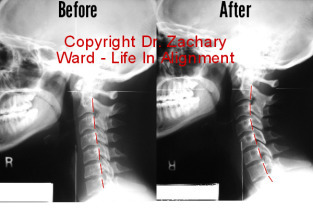 I know that I am healthier and there is positive change in my spine. I know how much it has helped my mom, and I wish the rest of my family would come here.